I have my old 3.5 gears and vLSDSold if anyone is interested used for around 30,000 miles. sry this might be an ignorant question but what would i need to install this into a base 08 6mt? price +shipping to 11413...and what is its weight plz? 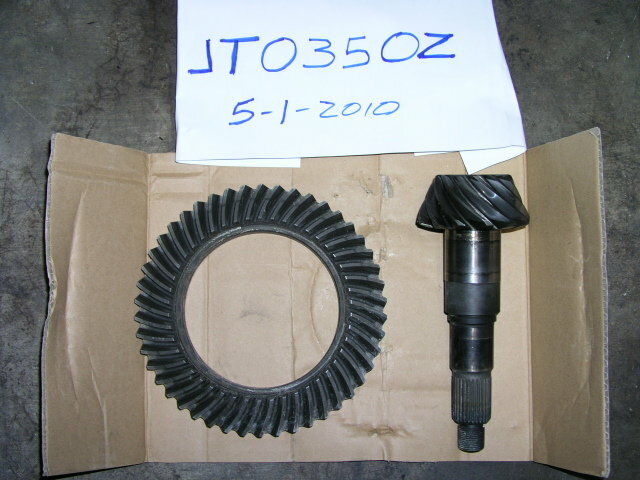 PM sent with price for vLSD are you interested in the gears also? I just guessed you were asking about the vLSD so let me know if you need anything else. No reason I can think of why the VLSD wouldn't fit into an '08 pumpkin. But, you need different stub axles than came with youru open diff. It's really a job for a shop, though, unless you've got the proper tools and previous experience. Might be easier to find a complete VLSD pumpkin and swap the whole unit. price for the vlsd shipped to 95212? Do you know if this vlsd will fit in my non vlsd 3.5 pumpkin? Mine is an 03 6mt. Are you still interested in the VLSD? Yup, yup, just got my pay check today, sorry for the delate, i will send you the payment asap when the check is clear.